Cut peppers and onions into bite size pieces. 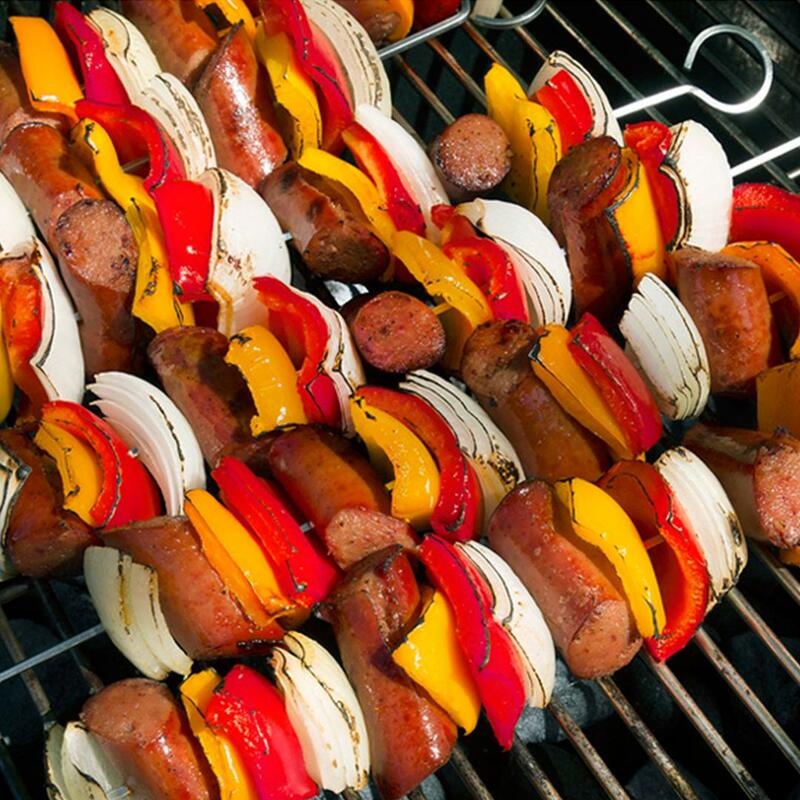 Alternating sausage, onion and peppers, thread pieces onto skewers. Make sure pieces fit snuggly together. Place skewers onto hot grill. When sausage starts to sizzle and veggies. Start to brown, flip and cook until done.